Is divorce bad for children? “Yes, obviously,” may be your knee-jerk response, but a recent article in Scientific American points to studies showing that in the long run divorce adversely affects only a small percentage of kids. There are many conflicting studies about the long-term consequences of divorce on children. According to University of California professor Judith Wallerstein, most adults who were children of divorce experience depression and relationship issues. But research by University of Virginia professor E. Mavis Hetherington shows that only 15 percent of adult children of divorce experience greater problems than those from stable families. There seems to be a consensus, however, that many children experience short-term negative effects from divorce, such as anger and anxiety. According to Hetherington’s study, such effects typically diminish or disappear by the second year post-divorce. At Spivak Law Firm, we believe strongly in protecting children through the divorce process. 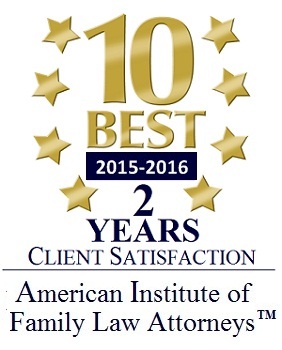 We handle many high-conflict divorces with issues of child custody, child support, and protection from abuse (PFA). To speak with a Pittsburgh family law attorney, call Spivak Law Firm at (412) 344-4900 or toll free at (800) 545-9390.